Could 10 days at a health resort really change you forever? 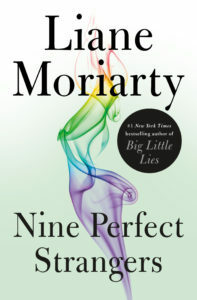 In Nine Perfect Strangers, by the #1 New York Times bestselling author of Big Little Lies, nine people gathered at the remote health resort Tranquillum House are about to find out. Some of the guests are there to lose weight, some are seeking a reboot on life, and some are there for reasons they can’t even admit to themselves. Amidst all of the luxury, pampering, and meditation, each guest knows these next 10 days might involve some real work. But none can imagine just how challenging it’s going to be. Frances Welty, a former bestselling romance novelist, arrives at the resort nursing a bad back and a broken heart. She’s immediately intrigued by her fellow guests, but the person who interests her most is the strange and charismatic owner of Tranquillum House. Could this person really have the answers Frances didn’t even know she was seeking? Should Frances put aside her doubts and immerse herself in everything Tranquillum House has to offer, or should she run while she still can? It’s not long before every guest at Tranquillum House is asking exactly the same question. Moriarty is the author of seven internationally bestselling novels including The Husband’s Secret and Truly Madly Guilty. 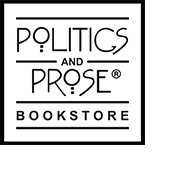 In conversation with Bethanne Patrick, an author and critic who writes a monthly Washington Post column on hot new reads. Book signing to follow.